Drive over to Salem via Hwys 20/22 scenic. Suttle Lake very pretty. When we got on the Santiam Pass it started to get cloudy and misty all the way to Salem. Detroit Lake was the lowest we have ever seen it except in winter when it is drained. Oregon is brown and in need of rain. Fires east of the Cascades near Warm Springs and south near Crater Lake are terrible. Some roads are closed and the smoke is bad. Not sure what to expect when we head to California in a month. 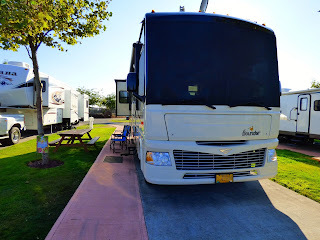 We arrived at Hee Hee Illahee RV park, our site for the next 5 nights before leaving for NAS on Whidbey Island for a month.This is a nice park with long pull thrus and full hookups. 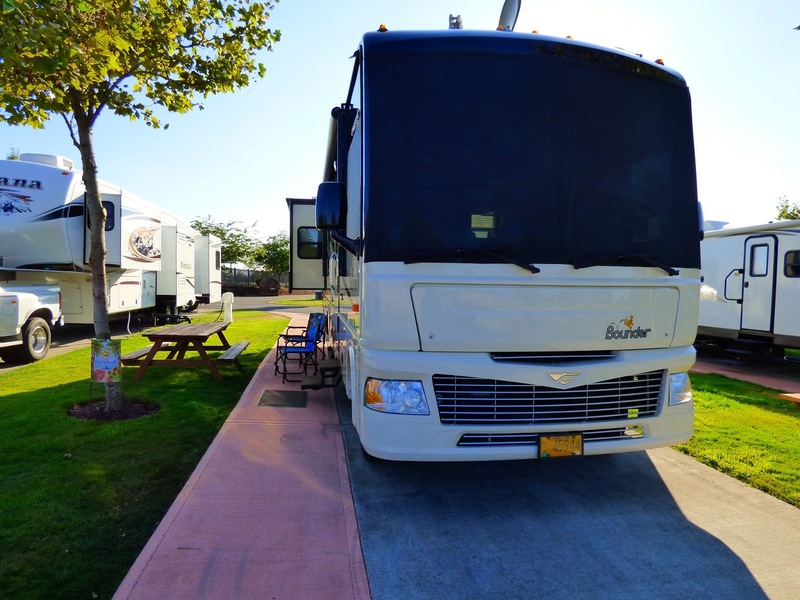 Good fiber optic free Wi-Fi, clean laundry, nice pool and clubhouse.Would stay here again. John's hand is much improved and will get his stitches out when we get to Whidbey. A/C is working good in the car. We also got 4 new tires while we were in Redmond for the car. Think we got almost 60,000 miles on the last set which includes 30,000 actual driving and 30,000 towing. We are going to be busy with friends while we are here. It has been two years since our last visit.